Hi Tech Honeycomb Inc. is a leading manufacturer and supplier of honeycomb detail for gas turbine engine seals. 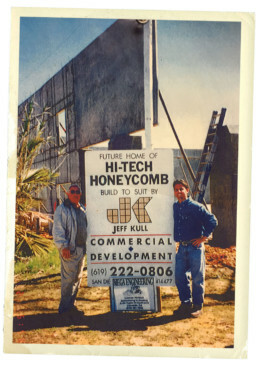 Located in San Diego, CA, and founded by entrepreneur Joao Costa in 1989, Hi Tech Honeycomb has steadily grown in size with the same entrepreneurial spirit still existing throughout the company today. Through experience and technology, Hi Tech Honeycomb achieves high quality products with a continuous quest for excellence. With over 150 customers located worldwide, Hi Tech Honeycomb has enjoyed proven success. Entrepreneur Joao Costa was a man of many talents. While working in the honeycomb manufacturing industry as an aerospace engineer for 26 years he gained the experience and confidence he needed to create Hi Tech Honeycomb. In addition to his engineering experience he was also a savvy businessman. He had a vision which was to create an industry leading aerospace manufacturing company. To do that he needed manufacturing floor space, machinery, materials and quality craftsman. And for all of that he needed startup capital. Using credit cards to finance the company’s startup he was soon surrounded with floor space, machines, materials and most importantly quality craftsmen. As word of their quality product, fair pricing and excellent customer service spread their sales momentum started to build. A few orders first, then more and even more. While exciting to see the growth this also created new challenges and opportunities. More equipment, materials and quality employees were needed. Over time Mr. Costa was able to use more efficient financing and eventually moved the company into a brand new Hi Tech Honeycomb manufacturing facility located in San Diego, CA. Hi Tech Honeycomb now serves over 150 of the World’s top jet engine manufacturers. The rich history and corporate culture at Hi Tech Honeycomb allows it to be the premiere honeycomb supplier in the world. 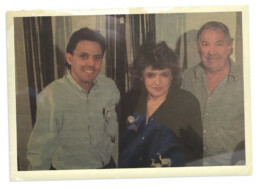 Mr. Joao Costa established a tradition of quality products and first class service that is carried on today by his son John Costa and his daughter Lisa Costa and their amazing team of manufacturing and support employees. The sky’s the limit for the continued growth of Hi Tech Honeycomb quality products and commitment to industry leading customer service. Hi Tech Honeycomb Inc. is a leading manufacturer and supplier of honeycomb detail for gas turbine engine seals located in San Diego, California.